We are very excited to have you speak at our Innovation Stage this year! We’ve put together the following guide to make your experience as smooth and enjoyable as possible. We want to make sure that your speak is the best it can be and that your presence is something that attendees will remember for years to come. Please bookmark this page and check back before the festival, as we will be adding relevant information and updates. Info about transport, registration, benefits can be found here. Are you all set? Find answers regarding preparation, technical details and documentation. Conference 20-21 June at Funkhaus (Nalepastrasse 18, 12459 Berlin). Satellites on 19-22 June across Berlin. Make sure to check our website for more information. The festival will be located at Funkhaus Berlin, Nalepastraße 18, 12459 Berlin. See their website for more photos and information about the venue. In case you are traveling from abroad, you can use the services or TravelPerk - our travel parter. Funkhaus is open on 20-21 June at 09:00-18:00. Unfortunately, there is no parking available at Funkhaus. Formats: We accept following files: .key, .ppt, .pptx, .pdf. Aspect ratio: your slides should be 16:9 in Full HD. Fonts: make sure to use standard fonts or provide formats with embedded fonts. Note: ALL visual materials have to be submitted. It’s a good idea to also upload a PDF version of your presentation and bring a backup on a USB drive. In case you would like to book a coaching session with our speaking coach Bianca Praetorius, do not hesitate to contact her directly. Please be near the Innovation Stage 30 minutes prior to your session. 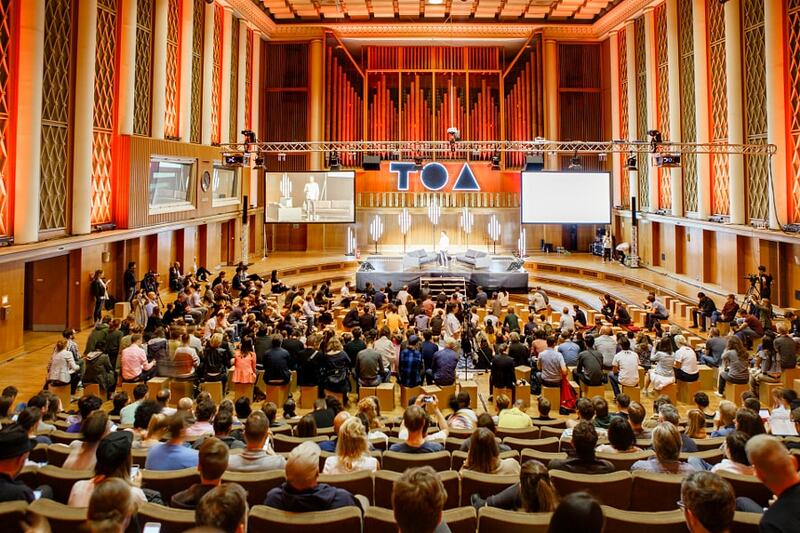 There will be a TOA Info Desk in the Haus of Tech, where you can inquire about the exact location of the spot. Near the stage, meet one of our speaker managers, who will set you up. Your presentation will already be in one of our laptops (Windows or Mac) with Microsoft Office, Apple Keynote (NOT Pages) and Adobe Reader installed. *Note: We do not allow using personal laptops. A mini-jack connector will be provided for sound. Please tell us beforehand if you want to use audio beforehand. In case you bring any personal equipment, please make sure to have an adapter for the German outlets at hand, if necessary.